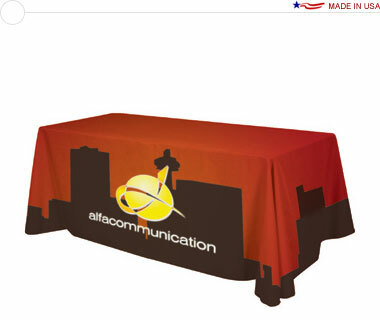 A table throw entirely dye-sub printed in full color with your submitted artwork. Sized to fit an 8′ wide, 30″ tall table covering all four sides. The material is a machine washable, wrinkle resistant, flame retardant, premium polyester poplin fabric.